Camp Wavelength (#CampWL) returns! The chilled-out high-point of last year's insane Toronto summer music festival season is back for its second edition. 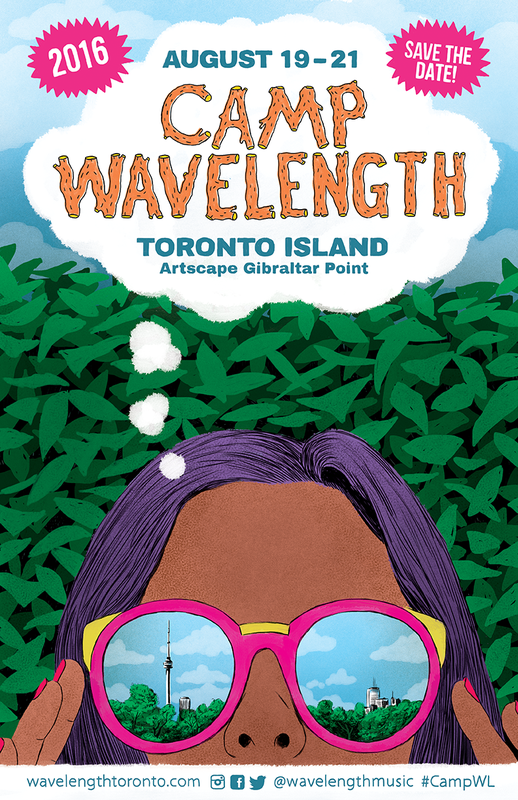 Save the date for August 19-21, 2016, as the weird and wonderful take over the grounds of Artscape Gibraltar Point on Toronto Island. In its inaugural year, Camp Wavelength was hailed as one of the best music festivals of 2015. Now Magazine applauded its "DIY commitment to the best." Torontoist called it "a game-changer" while BlogTO described the fest as "the perfect backdrop for presenting grassroots events that celebrate community" and Chartattack noted it had "an ambiance as important and fascinating as its musical acts." Camp Wavelength is an intimate, community-based alternative to the usual summer music festival experience, and a weekend staycation like no other. Toronto's only outdoor music and arts festival that offers overnight camping within city limits, Camp Wavelength is a surreal slumber party on the blissful shores of Toronto Island. Wavelength is seeking the best independent music and the arts from Canada and around the world, to perform and participate at Camp Wavelength. The 2016 curatorial theme is "Head in the Clouds". Creators across all disciplines (music, visual & media arts, dance & performance, and games & activities) are invited to submit proposals.